Tripoli (AFP) - The bodies of at least 25 migrants who drowned trying to reach Europe were found near Tripoli Tuesday, the Libyan Red Crescent said. Some of the corpses were washed ashore on a beach near the Libyan capital, but most were on rocks off the suburb of Tajoura in a state of decomposition, an AFP photographer at the scene said. Italy's coastguard said more than 8,000 migrants had been rescued off the coast of Libya in a 48-hour period to Tuesday. 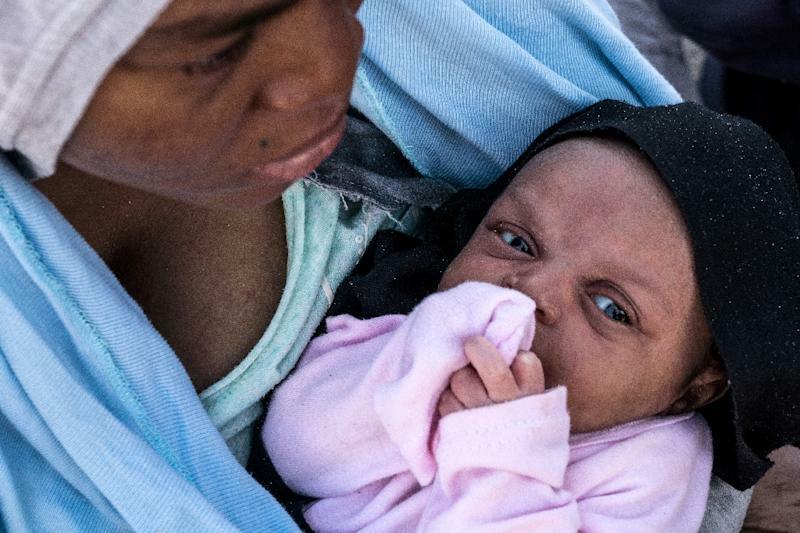 A woman clutching her baby sobbed in the truck, her dreams of reaching Europe having evaporated in a matter of hours -- along with the money she paid for the journey. 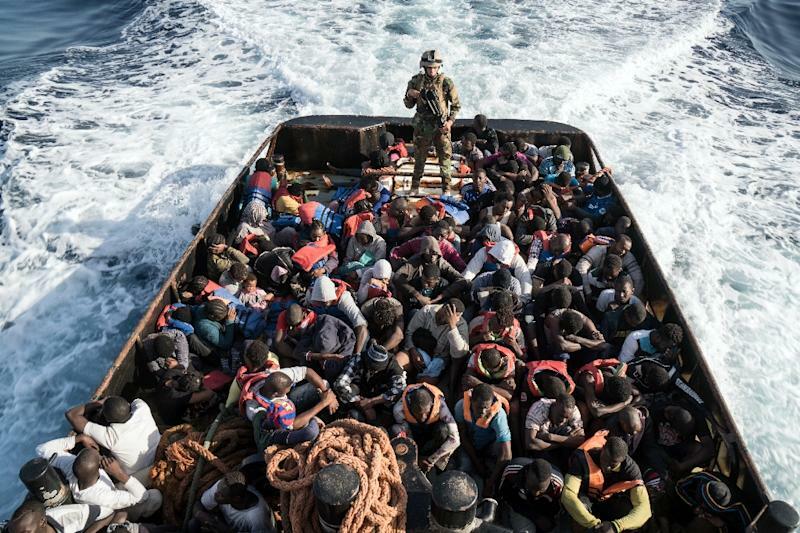 The navy spokesman, Qassem, said several migrant boats were spotted off Libya on Tuesday along with at least six privately operated ships "claiming to carry out rescue operations". One of the vessels entered Libyan waters before the coastguard forced it to leave, he said, accusing the boats' operators of "complicity" with people smugglers. Migrants intercepted or rescued by Libya's coastguard are usually held in detention centres until they are sent home. More than 73,300 migrants have landed on Italy's shores since January, a 14-percent rise on the same period last year. Just over 2,000 people have died or gone missing feared drowned while attempting the crossing since the beginning of 2017, according to the UN's refugee agency.